John Wilson Australian Blue Mountains Artist. John Wilson Art Gallery and Studio, Katoomba Blue Mountains NSW Australia. Private viewings most welcome on other days - Phone 4782 3703. 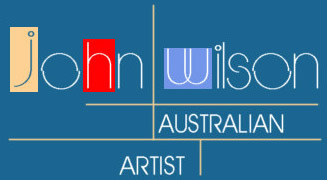 John Wilson is one of Australia's leading oil painters. He grew up in the beautiful Blue Mountains of NSW. Now John is a Multi-Award winning artist, whose elegant paintings capture the more elusive qualities unique to the Australian landscape. His works, considered highly collectable are represented in private, corporate and public collections throughout Australia and internationally. John Wilson is a Fellow of The Royal Art Society of NSW and the patron of the Society of Mountain Artists. in Katoomba, Blue Mountains NSW Australia.